Moving a safe can be complex and dangerous if you aren’t familiar with the proper process, and if you lack the proper equipment. At Moving Ahead Services, we always double check with our customers when planning a move to see if they have any large or unique objects such as a gun safe or a safe for valuables. It is critical to hire experienced safe movers for large, heavy items – The risk of damage and injury is increased, even if you are just moving your safe from one room to another. Give our experts a call! Our custom quote will walk through the details of your move, even if you are simply relocating the safe within your own home. This allows us to plan for your unique move and prepare with the proper equipment and man power. Not every moving company is able to handle your gun safe in a reliable manner, but Moving Ahead Services trains our staff in order to handle large objects like heavy safes properly, to ensure we prevent any damage or injuries. 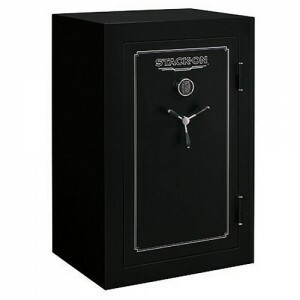 Our limit for safes is 800 pounds. Getting your safe ready for Moving Ahead Services To keep costs efficient when you hire our safe movers, we have some tips and best practices to prepare for moving day. We are legally not able to move weaponry and firearms of any kind. We will walk you through making the proper arrangements. Measure doorways if we are not completing a walk throughway. This will ensure the safe will fit through with space on either side. Move your safe to your new home, or to a different room in your house with our professional safe movers. Give us a call today to walk through the quoting process! *800 Pound safe weight limit. Choose experienced, careful safe movers to move a safe within your home or across the country.